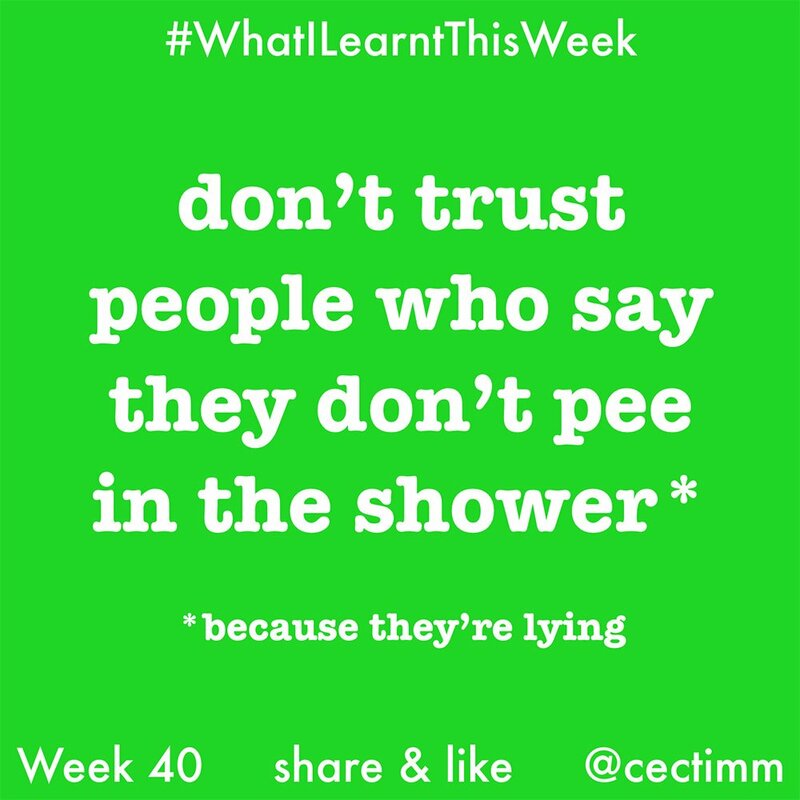 According to an article in Shape Magazine, 80% of people pee in the shower (PITS) and I think the remaining 20% are either lying or have some serious body issues (kidding/not kidding). Further to this I took part in a survey on BuzzFeed News and similarly it showed that 81% of people PITS. While PITS is great, peeing in the bath is still a MASSIVE NO NO. Don’t do that! The next time someone denies PITS just remember, they are probably lying. Practically everyone is doing it.